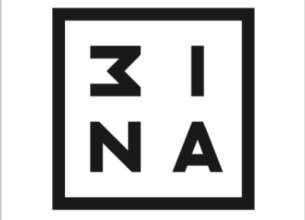 3INA [pronounced Mina] is the newest brand to join The House of Busby retail portfolio. In the ten months since launch, 3INA continues to break barriers and set unprecedented levels of expansion around the world. 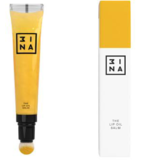 3INA continues to offer bold, brave beauty in a staggering array of colours. 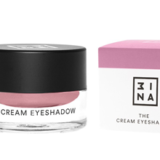 With new products introduced to the market every month in luxurious formulas that are ethically sourced as well as paraben cruelty-free, 3INA presents a nimble alternative to other beauty brands and at an honest price point (average RSP of 149.95). 3INA stores are available in Eastgate and Sandton and a third store will open at Menlyn Shopping Centre, Pretoria, in November. Plans for the rest of the country will be revealed soon. Designed for those who love the application of a lip gloss but want the colour payoff of a longwear lipstick. Once on the lips, the gloss becomes an opaque matte lipstick that won't budge. Apply one coat over a base of lip liner, starting at the Cupid's bow and working outwards. RS: R149,95 Availability: Exclusive to 3INA stores. This lip oil balm combines the nourishing properties found in a lip balm with the shine of your favourite lip gloss. * Glossy shine and pigmented finish * For all day, long-lasting hydration RS: R149,95. Availability: 3INA stores. Combine three steps into one with this multi-tasking foundation. You'll find the brilliant benefits of a primer, a high cover concealer and a luminous foundation in one long-wear formula. It's paraben-free and contains SPF 15. RS: R299, 95. Availability: Exclusive to 3INA stores. A long lasting eyeshadow for intense, magnetic colour for all day wear. Waterproof and paraben free. RS Price: R159,95 Availability: Exclusive to 3INA stores.